What a crazy week! All of a sudden it’s a brave new world, with our neighbours down south voting in a new president. Our first link will be dedicated to them, then, because hopefully for a moment they’ll unite behind a common goal tomorrow for America Recycles Day. Thankfully, it’s business as usual here at City Waste Services and elsewhere in the world, where there are some cool things happening. 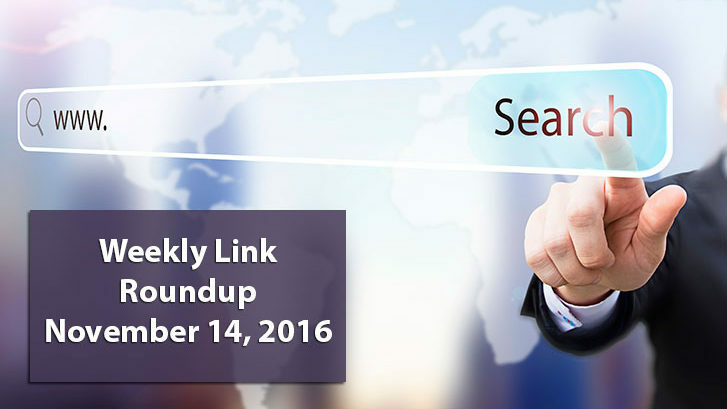 Check out the rest of this week’s links for more. Adidas makes it easy for all the sneakerheads to become environmentally responsible while looking super cool with their latest kicks launching November 15th. Don’t worry if you miss the launch date. They’ll be on Ebay and Kijiji on November 16th for twice the price. We featured a zero waste pop up market in our last link roundup and have just come across another store in Montreal which has also done away with packaging. No need to wait for the next pop up with this store, as it’s at a permanent location. Readers of this blog know we love to organize (or attempt to) and declutter, so we had to throw this one in here. A brand new article on Marie Kondo’s decluttering technique. She says that if you live with your family, first tidy up your own areas and that “your family will gradually be influenced by you.” This probably won’t work with our kids, but hey, at least our own areas will be tidy after trying.